While some may argue this should be passed off as mere entertainment, it is actually embedding and rekindling deep-seated prejudice and hatred. It has been 70 years since India and Pakistan emerged from a single, coherent geographical unit as two sovereign nations, and both states do their best to remember and reaffirm this. Every day at around 4:30pm, the Wagah border prepares for a unique ceremony, wherein the soldiers stationed at and near the border gates on both sides re-state the identity of India and Pakistan as sovereign nations, while their people cheer for them. As the dusk sets in, it is time to lower their respective flags, but both countries do so by giving a warning to each other. The gates open, and soldiers from both sides walk up to each other fiercely and compete in showing off their respective physical strength. They lift their legs as high as they can, all the while giving the other their fiercest look. This physical strength and aggressiveness is meant to symbolise the strength of the nation, and warn the other state. They eventually shake hands and go back to their respective gates. While doing so, a smile may dash across their faces, like a silver lining in the dark. The people on both sides cheer at this moment as well. 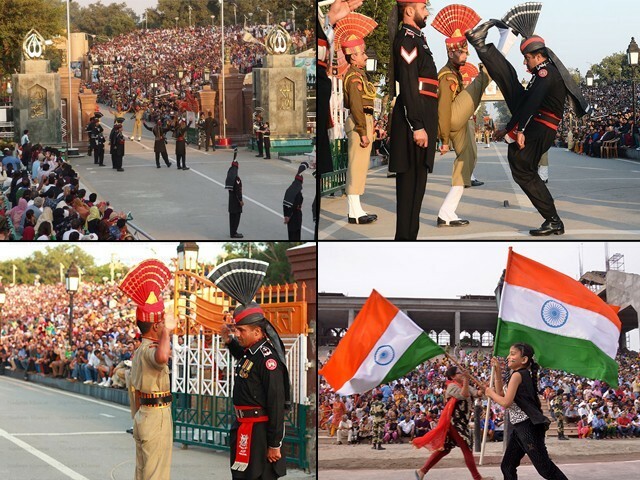 The Wagah border ceremony is quite simply a site of nationalism. Particularly in India, a trip to Amritsar will tend to involve a visit to witness the border ceremony. Recently, there was also a competition between the two nations on planting the tallest flag at the border. Unfortunately, neither wind nor nature supported them in this endeavour. The ceremony also accommodates the audience as being more than just mere spectators. Even before the ceremony involving the soldiers begins, songs of patriotism are played on both sides while onlookers, especially children, perform in support. They sing and dance along to match the spirit of the gathering. I remember the time I attended the ceremony on the Indian side; there was a race involving children running with the Indian flag, so they could contribute to the display of patriotism around them. I also once heard someone saying his friend went to the Wagah border to show his deshbhakti (patriotism). But is this really patriotism, or love for one’s own country? After all, the ceremony is inherently about instilling hatred for the other side. Seventy years on, we have continued to define ourselves and our nationalism only in opposition to the other, as profoundly captured by this daily ceremony. Every day, hundreds of Indians and Pakistanis are embedded with an aggressive nationalism, feelings of hostility, competition and hatred, all in the name of patriotism. On the other hand, it is interesting that this site is also utilised to address one’s curiosity to see not only the other side, but also the people belonging to the other side. The first time I went to the Wagah border was as an undergraduate student. At that time, I was not involved with any cross-border peacebuilding effort. All I had with me were inherited memories and ideas that painted Pakistan as an opposing and different land, but I was also curious. I felt excited when I saw the seats on the “other side” getting filled. Throughout the ceremony, my focus was on capturing as much as I could of the land beyond the gates. Aaghaz-e-Dosti, a cross-border peace initiative, has also documented the story of two friends, one from India and the other from Pakistan, who came to this ceremony to finally see each other in person. They had co-ordinated earlier and could spot and wave at each other in the crowd. In fact, they claim they were only a few feet away from each other. As a peace activist working on both sides, while I respect national monuments and sites, I do not think such aggression and hostility should be shown in this ceremony. Hours before this ceremony, the same site is used as one of the official passages for people to enter the other country. Given that it is quite literally a passage for peace and friendship, it is very ironic all that is lost once the ceremony itself begins. More importantly, this site is also a reminder of what we choose not to recognise along with our independence and emergence as separate nations. Our Partition came at a heavy human cost, and millions of people were displaced. On both sides, people were killed, raped, lost, or separated from their families entirely. While at the time there may have been no such border gates, the space functioned as a passageway for migrants. Today, it continues to mark those memories. It is due to this reason that for many, especially the refugees and their children, the passage to Pakistan through the Wagah border has a very different meaning altogether. We know the differences that led to India and Pakistan did not stop at the Partition; the two sovereigns have continued to hate each other. But for our own development, we need to come out of this cycle of violence. For our own future, we must challenge this thinking, and for this, we must revamp the ceremony. As pointed out earlier, the ceremony glorifies violence and hostility. While some may argue this should be passed off as mere entertainment, it is actually embedding and rekindling deep-seated prejudice and hatred. We must also spare this space because it is the least we can do to remember the people lost in the fire of hatred. We can keep the same ceremony, but alter it to emphasise love instead of hate. After all, why can’t this ceremony be used for peacebuilding? Even otherwise, these gates are opened on festivals when soldiers exchange flowers and sweets, so why not every day? Every day, we can have the soldiers of both sides greet each other, hug each other or shake hands. This does not diminish our administrative borders in any way. We can go to the ceremony and wave at the other side, cheer for each other, play songs of peace and perform together, even while the gates remain closed. With peace, there can be endless possibilities, and each one will be beautiful. Even if this is done, the Wagah border will continue to be a site of nationalism – the only difference being we will be changing the definition of nationalism itself. We need to be two nations that respect each other. 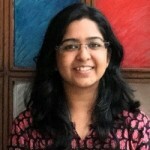 We were one land, one people before the Partition, so why can’t we live in peace now? And how are we ever to become true peace-loving countries if the performance of our nationalism relies on aggression and hostility? We cannot undo the past, but we can come out of the cycle of hatred which has served us no purpose, and has only meant the loss of lives, depletion of our economies, and the deprivation of basic amenities. Together, we can use this ceremony to sow seeds of peace and of friendship, for a better tomorrow. Exactly… Your thinking is very much similar to me. We both have in-depth roots of trolling against each other for no reason. Rightly so, war doesn’t give anything to us. A mother raises her child with all the difficulties and pains after a hard-work of many years and investing lots and lots of time and money on the child. Yet a bullet is enough to undo all her hard-work and dedication. The mother feelings are the same. Secondly, our patriotism depends just on our birth? If I was born 10 km to the west of Wagah, my sole life purpose is to defend Pakistan. Lets say if I was born 10 km to the east, my sole purpose would be to defend India. So we are not born by choice, why troll the other one, if we might be easily in the other’s place. Secondly, religion has nothing to do with this division. There are many Muslims serving and giving their lives to Indian cause and similarly there are many Hindus and Sikhs doing the same for Pakistan. It just pure entertainment. Nothing devious. Nice entertainment. The so called ceremony has been reduced to ‘ entertainment ‘. Many, many years ago when I went to Wagha to watch the lowering of the flags….the ceremony was simple, with commands called out with only the beautiful sound of the bugle. It was moving and in keeping with the atmosphere.